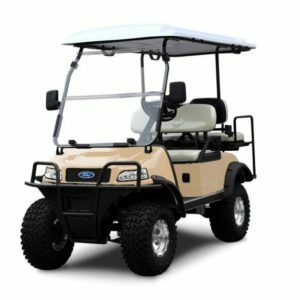 Based on the Ford 2 Seat Golf Cart, the Ford Lynx 4 seat is ideal for light duty passenger movements in caravan parks, airports, factories, shopping centres and parking lots. 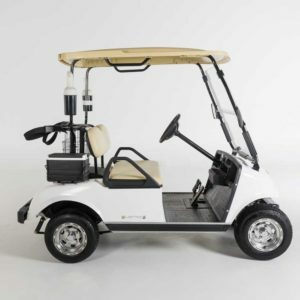 The Ford Lynx Golf Cart 4 seat features a 3kw AC motor and maintenance free batteries. 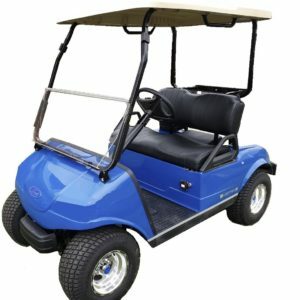 Other features include self-adjusting 2 wheel mechanical brakes, coil front suspension and double ended rack and pinion steering. 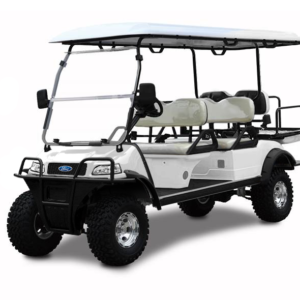 For heavier duty applications or more features please see our Ford Catalina 4 seat range with larger motor, lighting packs and heavy duty batteries. Battery Maintenance free, On-board Charger.